In California, there are a number of options available to individuals who are trying to clean up their criminal records. While many convictions can be expunged under California Penal Code Section 1203.4 PC, there is always a record of the arrest that may be available to law enforcement and other parties accessing the individual’s complete rap sheet. There are instances where a defendant was arrested for a crime but was never convicted. This may be because charges were ultimately declined for criminal filing by a prosecutorial agency, because the charges were filed but dismissed or because the defendant went to trial and was acquitted. In these cases, the defendant can file what is known as a factual innocence motion under California Penal Code Section 851.8 PC. If successful, the defendant’s record will be sealed and destroyed. Unlike the relief available with an expungement, a person whose California Penal Code Section 851.8 PC motion is granted will have no indication that they were arrested and/or prosecuted for the underlying offense on their criminal record. In many cases, a person may be arrested for a crime but the charge is ultimately dismissed or never filed. In these cases, the arrest may still remain on a person’s criminal record and may even show up as an unresolved case. Employers may discovery this during a background search and the existence of this arrest record could prove toxic to a person’s job prospects. Although the burden is extremely high, the defendant may be able to delete the arrest record by filing a factual innocence motion. The first step would be to petition the law enforcement agency who made the arrest and request that they issue a finding of factual innocence and destroy the petitioner’s arrest record. This must be done within two years of the date of arrest. Once the petition has been filed with the relevant law enforcement agency, the agency has 60 days to respond. If 60 days passes or if the law enforcement agency denies the petition, the petitioner can then file a petition in Superior Court for a finding of factual innocence. The petition would be filed with the Superior Court branch that would have had jurisdiction over the original offense. In addition, both the law enforcement agency who conducted the arrest and the prosecutorial agency that would have been responsible for prosecuting the case would have to be served with the petition. A hearing will be set to determine whether or not the petitioner is factually innocent of the underlying criminal offense. 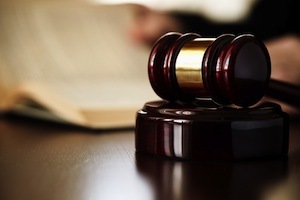 During the hearing, the petitioner can be represented by an attorney and can provide declarations, affidavits, witness testimony and any other evidence tending to show that the petitioner is factually innocent of the criminal conduct. Unlike criminal court where the burden of proof is on the prosecution, the initial burden of proof in a factual innocent motion is on the petitioner. He or she would be required to prove that there is no reasonable cause to believe that the petitioner committed the crime that he or she was arrested for. If the petitioner is able to meet this burden, the prosecutor would have to establish that there was reasonable cause to show that the petitioner committed the offense. The prosecution can also present evidence, including police reports and officer testimony, in order to rebut the petitioner's arguments. After hearing all evidence, the Court would render a decision and would ultimately grant or deny the petition for factual innocence. If the motion is granted, the arrest record will be sealed for a period of three years. During this time, the arrest could not be disclosed to any potential employer. After three years have passed, any record of the arrest would have to be destroyed. If asked on a job application whether or not the petitioner has ever been arrested, the petitioner can legally answer that he or she has not been arrested if the factual innocence motion was granted. If you have an active arrest record that you want to have cleared, it is critical that you speak with a Los Angeles Criminal Defense Attorney immediately. Los Angeles Criminal Defense Lawyer Michael Kraut is a former Deputy District Attorney with over 14 years of prosecutorial experience who is highly skilled at litigating factual innocence motions on behalf of his clients. For more information about Los Angeles factual innocence motions, and to schedule your free consultation, contact Los Angeles Criminal Defense Attorney Michael Kraut at the Kraut Law Group located at 6255 Sunset Boulevard, Suite 1480, Los Angeles, CA 90028. Mr. Kraut can be reached 24/7 at 888-334-6344 or 323-464-6453.